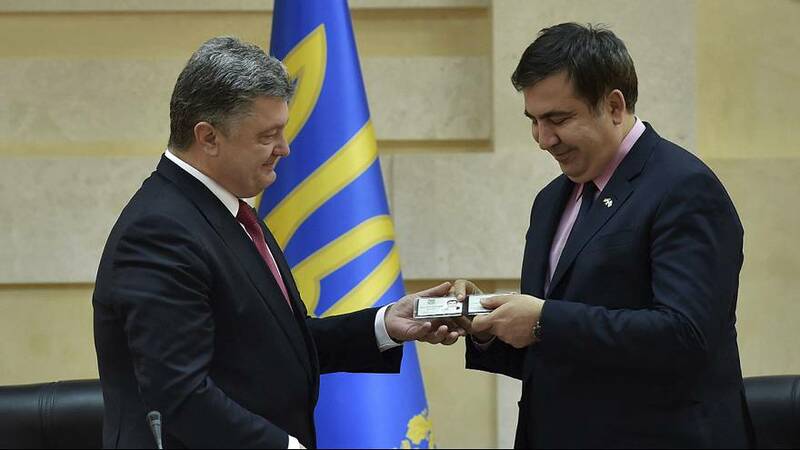 Former Georgian President Mikheil Saakashvili has been appointed governor of Ukraine’s Odessa region, a day after being granted Ukrainian citizenship. President Petro Poroshenko made the surprise announcement at an event in the Black Sea Port. By appointing pro-Western outsider it is a clear signal to Moscow that Kyiv remains on a pro-European course. Of the news Sakaashvili said he would work with Poroshenko to build a new Ukraine. As leader of Georgia he became an enemy of Russia as he tried to move the country away from Moscow’s influence. Relations reached their lowest point during a conflict in 2008 when Russia fought Georgia over the breakaway region of South Ossetia. He left Georgia in 2013, and current authorities have charged him with abuse of power and called for his extradition. Poroshenko’s choice for governor may prove to be a boon or a bust for Odessa, but it is unlikely to help ongoing peace efforts between Kyiv and Moscow.